Designed with the user experience solely in mind, the website has been designed using the latest technology, so that it is compatible with today’s browsers and mobile devices. The site includes extensive product information to help customers understand Maintenance Assistant’s range of solutions, while industry specific information and customer case studies work together to provide a complete overview of Maintenance Assistant’s capabilities across various industries. Customers can continue to benefit from the expansive content library of maintenance strategies and white papers and eBooks to assist in their maintenance and asset management vendor evaluation. 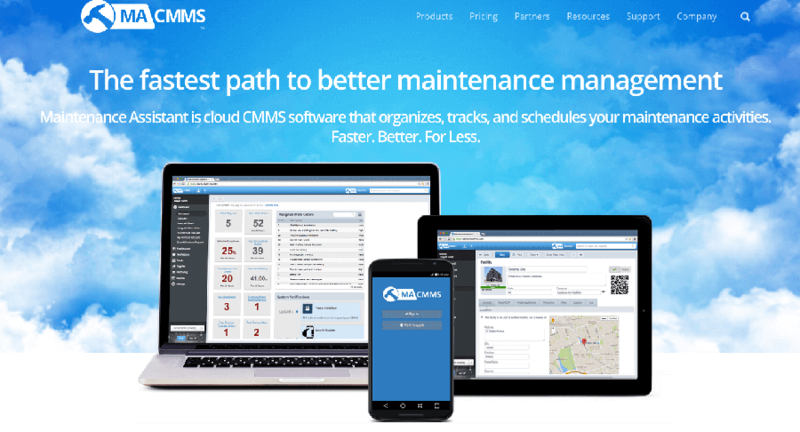 For those customers that are further along in their buying cycle, Maintenance Assistant provides an unprecedented purchasing process where customers can easily sign up and set up products directly from the new site. New customers simply sign up through a seamless ecommerce flow, open their browser, log in and start using the maintenance and asset management software immediately. The site will continue its evolution throughout the remainder of the year introducing new maintenance and asset management features and design enhancements. Learn more at Maintenance Assistant.